Bleaching your hair to Khaleesi blonde or transforming your tresses to unicorn hues takes some serious guts. And if there’s anyone’s out there with absolutely no fear of a bold hairstyle, it’s Rihanna (without a doubt). The singer and fashion designer seems to always be making a statement with her locks. 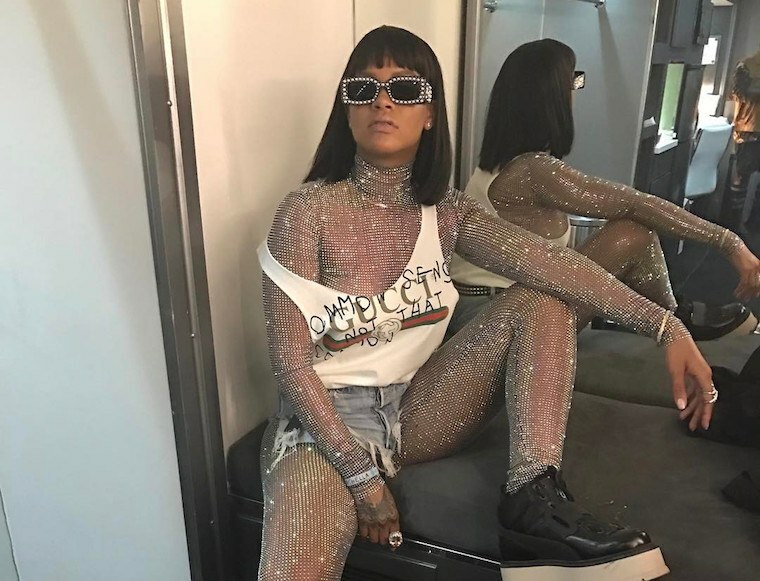 Most recently, RiRi’s rocked a tropical shade of turquoise (for her Cropover festival look that broke the Internet), but over the past few years, it’s been styled in an on-trend bob, dreadlocks, natural braids, with bangs, and in hip-grazing lengths—to name just a few. And it’s been dyed every color of the rainbow. Seriously—who else have you seen rocking sapphire hair? I wouldn’t expect anything less from bad gal RiRi herself. Craving a new ‘do? Here are Williams’ pro tips for making a drastic change—and rocking it like a #boss. And, hey, if you decide to go for it and wind up not liking how it looks, you can still get a wig. He says that when RiRi wants green hair, for example, she’ll think about what color lipstick she’ll then be able to wear and how she’ll want to dress. Anyone else wondering which color locks go best with bold leggings? Whichever daring style you choose, the key is to stick with it—without hesitation or regrets. “The most important thing is basically committing to it. If you’re going to go there, you’ve got to know that’s exactly what you want,” says Williams. “Before you do something spontaneous and out of the box, really know what you’re getting yourself into,” he adds. “If you’re not that girl, make sure you could become that girl.” BRB, seeing what I have that matches turquoise hair. Once you get it dyed, check out the ultimate guide to taking care of color-treated hair. You could also make a lock-protecting treatment using apple cider vinegar.